Although sixty-six rescue teams have been sent to assist, hospitals are overcrowded and unable to deal with the sudden influx of injured people seeking aid. There are shortages of water and food, as well as of shelters, for the thousands who have been rendered homeless as a result of the earthquakes. A local official estimated that the damages caused by the earthquakes are around $650 million. Meanwhile, however, Mohammad Hassan-Nejad, a member of Iran's parliament, claims that relief efforts need to be significantly ramped up, or else the death toll will quickly rise. In a similar vein, Vice President Mohammad-Reza Rahimi reportedly indicated a readiness to receive international assistance. How exactly can the American people “stand ready to offer assistance” given the considerable restrictions imposed by the current sanctions regime of the United States? Pursuant to U.S. sanctions, almost all trade with Iran is prohibited. There is, as stated at 31 C.F.R. § 560.210(b), a limited exemption for exporting humanitarian goods intended “to relieve human suffering.” Yet even though this exemption makes it legal to donate food, clothing, and medicine for humanitarian purposes, it does not allow for the provision of monetary donations to organizations based in Iran. 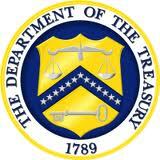 Unless a general license is issued, a specific license must be obtained from the Office of Foreign Assets Control, a unit of the U.S. Department of Treasury, before attempting to donate money to organizations in Iran. While the Office has issued guidelines clarifying how to provide humanitarian assistance to Iran in the aftermath of the quakes, the guidelines merely reiterate the need for a specific license for most forms of assistance. Further, even with the humanitarian exemption, some organizations have reportedly been unwilling to send exempted items because of confusion created by the sanctions regime’s complexity. So while sending certain humanitarian items to Iran is not illegal per se, the sanctions have made it practically almost impossible to do so. Similar to the U.N. sanctions Professor Craven discusses, the "humane" sanctions regime of the United States, with its exemption for food, clothing, and medicine intended for humanitarian purposes, does not ensure that the people who need these items the most will actually receive them. Humanitarian exemptions have also been criticized by the U.N. Committee on Economic, Social and Cultural Rights, which found such exemptions insufficient and too limited in scope. The Committee also contended that these exemptions often leave other detrimental consequences of sanctions unaddressed. 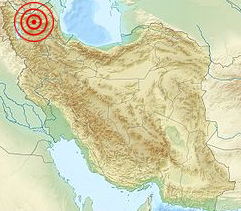 In response to the devastating earthquake that killed over 30,000 people in Bam, Iran, in 2003 (http://www.iranicaonline.org/articles/bam-earthquake-2003), Treasury's Office of Foreign Assets Control issued Iran General License (No. 1) and Iran General License (No. 1-a). These allowed persons and organizations in the United States to make financial donations for humanitarian relief and reconstruction in the aftermath of that earthquake for a limited period of time. While another general license would help facilitate short-term relief efforts, it would likely have only minimal benefit. ► Due to the likely limited temporal scope of any such license and the practical difficulties of getting aid to Iran, humanitarian aid from American organizations and persons to Iran will be restricted due to the sanctions regime. ► The license would only be a temporary measure to help mitigate the effects of sanctions in a very limited circumstance. It would do nothing to alleviate the problems Iranians are facing intheir day-to-day lives due to the sanctions, such as, for example, drug shortages. If nothing else, this disaster shows the short-term need for reform of all international sanctions regimes. As Dr. Robin Geiss, now a professor at the University of Potsdam, argued in a 2005 article, such reform should include provisions for automatic emergency suspension clauses in times of humanitarian emergency. Hopefully, this disaster will also remind international actors to take a step back and reassess the inhumane effects of their so-called "humane" and "peaceful" measures.